Choose Alsip Home & Nursery as your one-stop pet shop by carrying the everyday supply needs to raise a happy and healthy pet! Everyday we help people find the perfect pet to match family and lifestyle. Look to our knowledgeable staff for any of your care questions and we'll point you in the right direction. Everyone knows you can't visit Alsip Home & Nursery without saying hello to the puppies! We've recently announced our 100% Rescue Initative. Alsip Home & Nursery has an irresistible selection of kittens at both locations. There are few things more captivating that our enigmatic feline friends. Maybe that's why the Alsip Pet Center pros dote over our kittens so much. Don't miss the chance to visit our pampered kittens.We routinely have some of the more popular cat breeds represented, including tabby and calico. Nothing quite compares to the cheerful sounds and color pet birds bring to any home. Alisp Home & Nursery carries all of your pet bird's needs in addition to a wide selection of feathered friends including parakeets, finches and more. 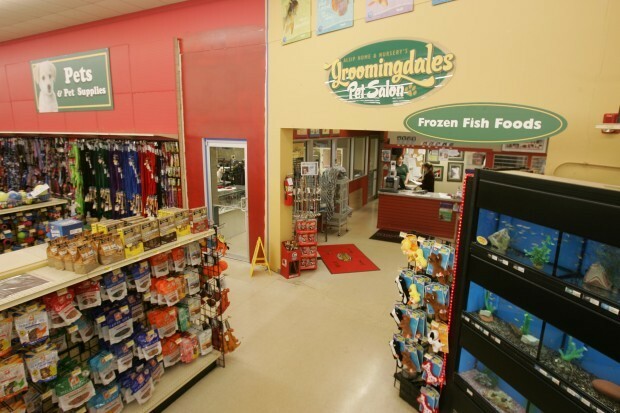 Alsip Home & Nursery's Pet Center offers everything you will need to explore the fascinating world of fish. Whether you're a long-time aquarist or a beginner, we have everything you need – including a wide variety of finned friends to fill your underwater habitat. Alsip' Home & Nursery's Pet Center is your small animal headquarters. We regularly carry bunnies, hamsters, guinea pigs, ferrets, mice, rats and more. We also have all of the supplies and food you'll need for your small animal habitat. Often considered exotic and unusual, reptiles have become increasingly popular pets. Alsip Home & Nursery's Pet Center routinely carries anoles, bearded dragons, chameleons, geckos and more. We also carry the supplies and food needed for your new exotic friend!